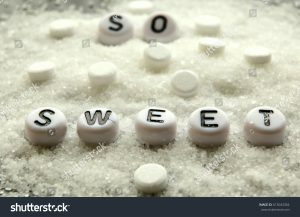 Choosing a sugar substitute in the past was a matter of color – pink, blue or yellow, which represent saccharin, aspartame and sucralose in that order. Today, however, it can be very hard because there are multiple brands available. So how do you know that you are buying the right one? The most important thing when it comes to artificial sweeteners is safety – there are some, like cyclamate, alitame and advantame – that have been tested and found not to be safe for human consumption. The best way to know whether a substitute is safe is to check its base ingredients. There are 5 that have been deemed safe by the FDA – saccharin, neotame, sulcarose, aspartame and acesulfame potassium. All these are sold under different brand names which can make it mind boggling to choose between them. This article will discuss the brand names of safe and most common synthetic sugar brands. This one is manufactured by Merisant US Inc. and it comes in the form of packets, jars and pills. Its base ingredients are aspartame and acesulfame potassium which is mixed with maltodextrin. Although Equal contains no calories it is 200 sweeter than sugar. It is completely safe because the ingredients that are used to make it are produced naturally by the body. It is however important to note that Equal pills contain lactose so if you are lactose intolerant this is not a good synthetic sugar for you. You can use Equal for baking as directed by the manufacturer – they supply some recipes online. 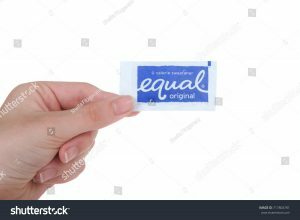 Equal is ideal for diabetics, but before you use it make sure to discuss it with your doctor. Ideal is made up of sucralose as well as xylitol, and a few other safe ingredients. This product is 600 times sweeter than sugar. Many people are confused by Ideal being labeled calorie-free – after all some of the ingredients that it is made out of contain some calories. While it is true that xylitol, maltodextrin and dextrose contain calories, they are so few that the FDA allows the product to be called calorie-free. Ideal is good for baking, and you use the same measure as you would regular sugar. It is safe for everyone, including diabetics, but get your doctor’s advice before you use it. Nevella with Probiotics is manufactured by Heartland Sweeteners and it is an excellent synthetic sugar because it comes combined with probiotics. These are healthy gut bacteria that help with a variety of conditions, but it can also help people who don’t suffer any conditions stay healthy. Its base ingredient is sucralose which is one of those that has been deemed safe by the FDA. You can put novella with Probiotics in your beverages, but you can also sprinkle it over fruit and cereal. It is ideal for baking, and there are recipes posted on the manufacturer’s website. The base ingredient in this synthetic sugar is not among those listed by the FDA but it is safe because it occurs naturally in the body as well as in some fruits and vegetables. It is called organic erythritol which is about 70% as sweet as sugar – you need to use a bit more of it than sugar to get the desired taste. It contains no calories at all so it is great for those who are looking to lose weight. Since it is made out of plant material it is perfect for vegetarians. It is used in beverages, fruit, cereal, baking and you can also use it to make sweet sauces. Since it contains no calories it is ideal for diabetics. This one is also made out of the natural sweetener erythritol, and it is derived from the stevia plant which is about 300 times sweeter than sugar. It is non-GMO for those who only consume organic. Since it is so much sweeter than sugar you only need a small amount of it – it is sold in small packets, but you can also get it in liquid form. It comes in several different flavors including vanilla. It is ideal for those with diabetes because it doesn’t contain any calories and it is also kosher certified. Splenda is probably one of the most commonly used synthetic sugars in the market. Its main ingredient is sucralose which is 600 times sweeter than sugar. It is very common in processed foods and beverages – it breaks down at very high temperatures. There have been some recent doubts as to its safety – there have been some studies that have suggested that it alters intestinal microbial levels in mice and glucose and insulin levels in humans. These studies are not conclusive – Splenda is a very popular product and there have been no widespread reports of harm to human health. It can be used in baking but in smaller amounts than sugar since it is so sweet. These are not the only synthetic sugar brands in the market – they are only the commonly used ones. You may find one that you like that isn’t in this article – before you consume it make sure to look into whether it is safe. It is also important to look into the manufacturer – there are some in the market that are less than reliable. You should also talk to your doctor before you start using a sweetener – while they are considered largely safe they are made of synthetic materials and depending on your overall health your doctor may recommend that you avoid them. Before you try synthetic sugar alternatives you should try natural ones. These include honey, black molasses, stevia and agave nectar. You should also look out for sweeteners that contain high fructose corn syrup – while it has fewer calories than sugar it has been associated with obesity, heart disease and diabetes. On the whole, however, if you stick to any of the brands discussed here you should be safe.